TALLINN, Estonia (AP) — A center-right party that held the prime minister’s office in Estonia for over a decade won the Baltic country’s general election Sunday, while a far-right populist party emerged as a big winner despite snubs from traditional power-brokers. The senior partner in the current coalition government, Prime Minister Juri Ratas’ Center Party, garnered 23.1 percent of the vote. The anti-immigration Estonian Conservative People’s Party, known as EKRE, came in third with 17.8 percent. The rival Reform and Center parties, the two main political groupings since Estonia regained independence amid the collapse of the Soviet Union in 1991, shared an election goal of keeping EKRE from making inroads. The euroskeptic party, led by father and son Mart and Martin Helme, won 8.1 percent of the vote and seven parliament seats in the 2015 election. An 18 percent showing translates to 19 seats in the 101-seat Riigikogu. 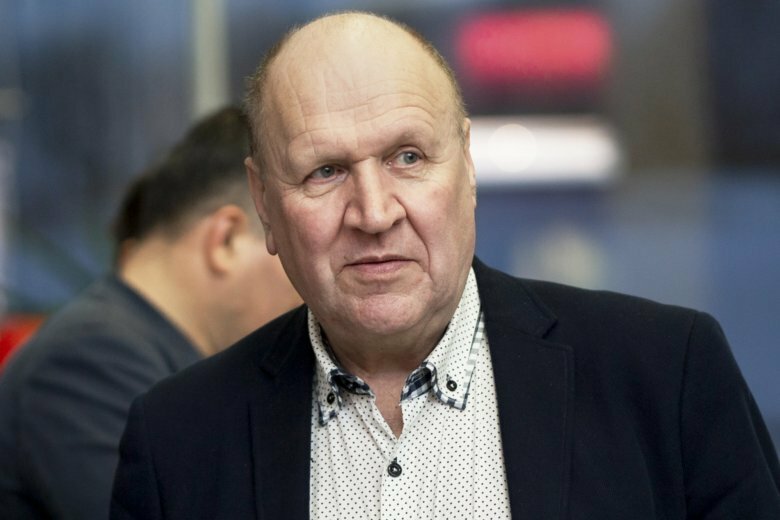 Martin Helme, who leads EKRE’s faction in parliament, said he sees the party’s gains as part of a trend in Europe and other parts of the world. Only five parties passed the 5 percent threshold of support needed to be in parliament. The two leading parties ruled out forming a coalition with EKRE as a partner, saying populists have no place in the Estonian government. EKRE chairman Mart Helme said he had not given up on the idea. “Yes, of course we would like to be in the coalition because every party wants to carry out its promises and program,” Helme told The Associated Press at the party’s election event in Tallinn’s Old Town. Estonia has a population of 1.3 million, and nearly 1 million voters were eligible to elect parliament representatives to four-year terms. Election officials said preliminary figures put Sunday’s turnout at 63.1 percent, slightly lower than in 2015. Campaigning mostly focused on social and economic issues, including taxes. Center campaigned mainly on public benefits, such as increasing pensions and better support for young families. Reform focused on job creation and improving the climate for businesses. As prime minister, Ratas, 40, has led a coalition government made up of his Center Party, the Social Democrats and the conservative Fatherland since November 2016. His government replaced a Reform government that lost a confidence vote. The junior partners in the ruling coalition had a weak showing Sunday with both losing seats. Ratas’ government substantially increased excise duties on alcohol, partly on health grounds. The Baltic nation has one of the highest rates of alcohol-related deaths in Europe. Center and its coalition partners also reformed Estonia’s flat income tax system, a cornerstone of the economy. The Reform Party held the prime minister’s post continuously from 2005-2016. Its internal divisions led to the party changing leaders several times in recent years. Its current head, Kaja Kallas, became the party’s first female leader last year. She is the daughter of Siim Kallas, one of the Reform Party’s creators and a former prime minister. All parties, including the EKRE, agree that NATO and the EU are the cornerstones of Estonia’s security and foreign policy. About 26 percent of Estonians cast votes online by a Feb. 27 deadline. Electronic voting pioneer Estonia was the first country in the world to use online balloting for a national election in 2005. No online voting took place on election day. Mstyslav Chernov and Philipp-Moritz Jenne contributed to this report.